I’ve waited FAR too long to post this recipe – why? Because there’s an outcry every time I use an ingredient that some lists consider to be high histamine. Here’s the (high nutrient) scoop – if you’re past the elimination phase of four – six weeks, your palette is yours. I believe it’s up to you to determine which foods help or hurt, but to be honest, in my experience (and that of a growing number of people who write to me and those who book consults with me), once the initial crisis has passed and we’ve calmed our body down through first eliminating everything that bothers us, then supporting the body with proper nutrition (more on how I did it here), eventually we need to deal with our brain being stuck in a place of fear. Now I’m not saying those who experience anaphylaxis should run out and eat foods they think make them react, but rather that I believe focusing on the negative side of the food experience, ie approaching the table and kitchen with fear and dread, always looking out for the possibility of a reaction, can leave the brain stuck in a PTSD-like state, where the belief that food or an action will cause pain, becomes a self-fulfilling prophecy. Yes, we still have mast cell disorders and histamine intolerance or allergies, but hopefully the work we have done means our body has healed to a certain degree, or has moved on from the original crisis. Once my inflammation was under control I needed to understand that these things couldn’t hurt me in the same way as before, and so I worked on my beliefs and approach to life. More on how I use my brain to control the histamine itch here and how I use meditation to control my stress response (stress causes mast cell degranulation/histamine release) here. You’ll also find more on why I use higher histamine (high nutrient) foods here. My books, till now, feature traditionally low histamine foods. I recently had fun lightly adapting the recipes of two more talented ladies, Monique at the Ambitious Kitchen and Katie over at Chocolate Covered Katie. 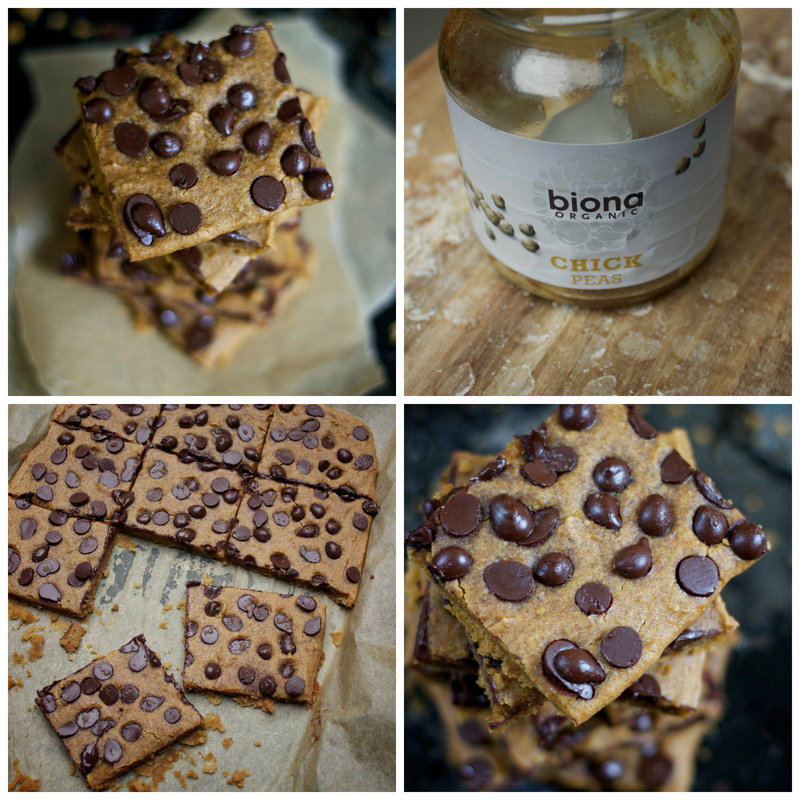 The result – high nutrient chickpea blondies that can easily be adapted once more to your tolerance. I used store bought Steenbergs chocolate chips (I know, gasp! I used something store bought!) that are made of cacao, sugar and nothing else. You can go ahead and use carob chips, dried fruit (I think chopped dates or blueberries will be great), home made cacao chips (I preferred the store bought results), some nuts, or anything you like. Should you not use something that’s sweet, I’d add a little more sweetener to the mix. I used bottled chickpeas for this recipe because you really need to make sure you work with super soft chickpeas. It’s possible to get them that texture at home if using a pressure cooker, but I’ve never managed to do it just by boiling. If using store bought, make sure to sample first. You want them to melt in your mouth. This recipe was tested with both sunflower seed and almond butter. I preferred the latter, but the former was also really tasty! 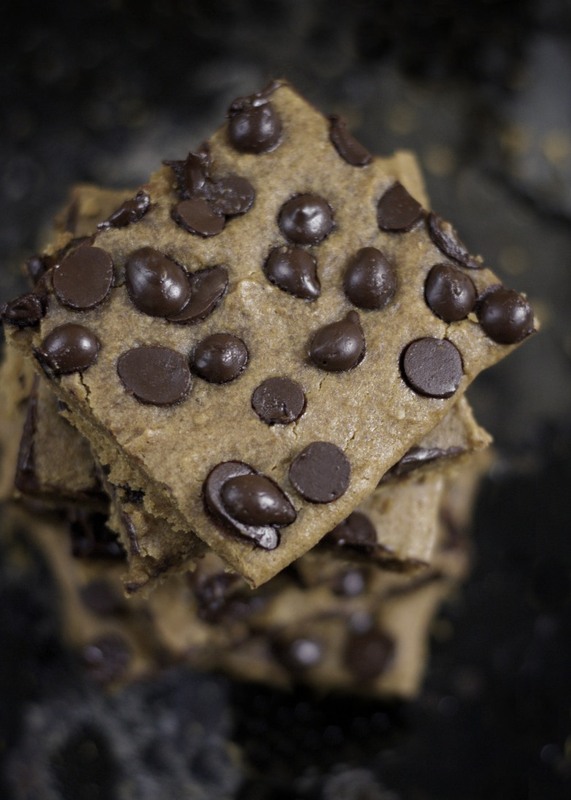 The original recipes call for more liquid sweetener – I found this made the blondies too mushy, so I cut it back some and added a little granulated coconut sugar instead. When I say powdered vanilla, I mean organic, raw, all natural vanilla with nothing else in it. The vitamin c is in place of bicarb of soda and baking powder. You can use them instead if you prefer. I’m just trying to cram as much goodness into food as possible, in order to balance the histamine. 1000mg of vitamin c usually does the trick! Pre-heat your oven to 350F/180C. In a blender combine the chickpeas, almond butter, coconut nectar, sugar, vanilla, pinch of salt and vitamin c, if using. Process till smooth. 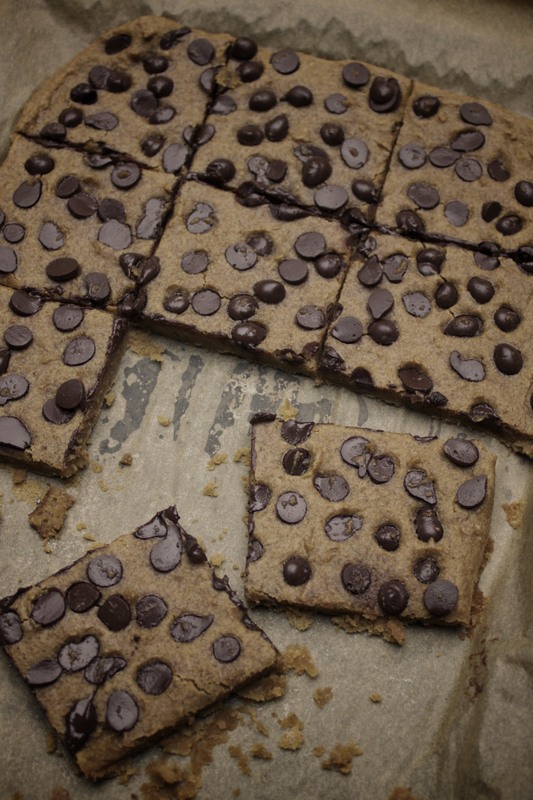 Mix in the chocolate chips and then pour into a baking tray. I made mine about 1.5 inches thick. Bake for about 20 mins, till cooked through but not dry.